I finally got around to retrofitting my older projects with the new hotness. I am now rendering the scenes with shader programs, which gives me a lot of nice options for how the scenes look. I can do lots of fancy stuff with them including doing neat things to the screen after the scene has been drawn. Here’s a quick example of one of the things I’ve already tried. It’s a ripple effect I applied to the screen; it looked awful, but I was getting 60 frames per second with it (which is good). As anybody who’s spent time on this blog knows….well, anyway, I’ve spent a while working on my game on and off. 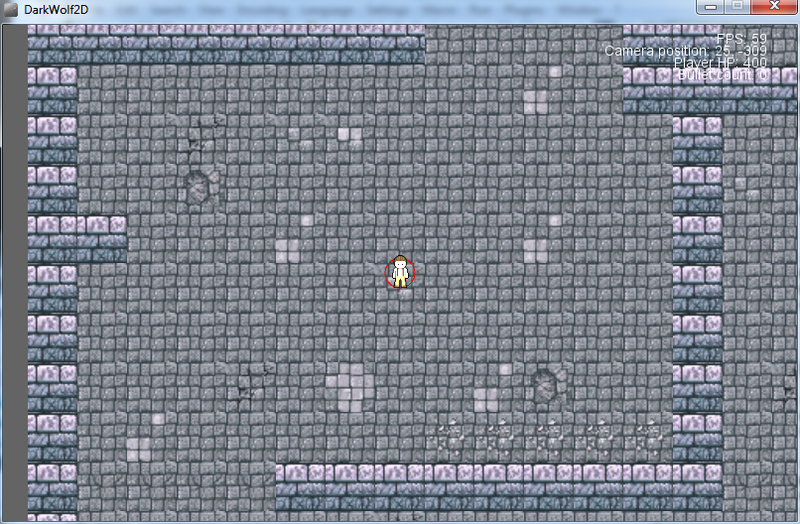 One of the time consuming processes of this was to build textures and level details. All of the art from the screenshots was created by hand using classic MS Paint (not the new-fangled one that comes with Windows 7). 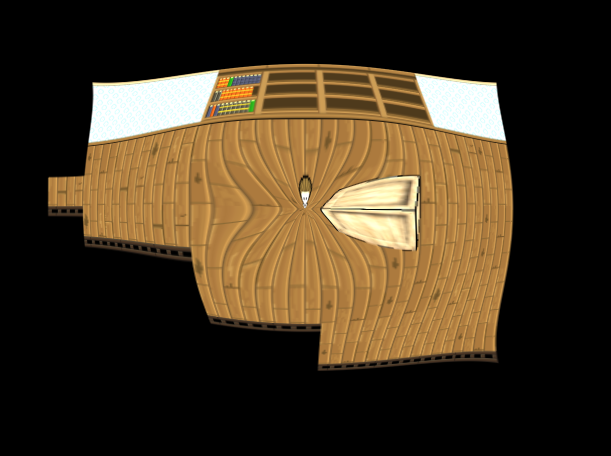 One particularly tedious aspect was making bookshelf textures. I had to manual rearrange books and come up with different combinations of books that I thought would be “believable” by the player and not repetitive. Well, here’s where my new project comes in! Last weekend I spent a few hours writing an algorithm that would generate shelves of books for me. Why is this interesting though? Couldn’t I have just randomized the books and called it a day? Well, the problem with strict randomization is that it looks ugly. It would just be a mish-mash of different coloured books, which is fine for a modern bookstore but as my game takes place in the 1920’s-1940’s, it felt more appropriate to have a bit more organization. Essentially, in older libraries you would be more likely to find books that looked similar because of binding techniques of the days. You’d also find more books that were series of something that would have the same style of cover instead of just a colourful, different cover. The goal for this project was to generate shelves that had clusters of books. To achieve this, I used a Markov Chain algorithm that would place each book on the shelf one at a time. Depending on the book it would place, it would favour specific types of books for the next book. There is still a randomized aspect to the algorithm, but it is more constrained depending on the state. Below is a screenshot comparing some of the results of the algorithm to a strictly randomized approach. As you can see, both are somewhat random, but the shelf on the left shows more groupings of similar books. So at this point in time I’ve had multiple people play through my game demo. The results were actually better than I thought. I think only one person wasn’t able to run it (still not entire sure why, but that’s future Jake’s problem now). There were a couple major issues, but those were found and fixed as well. One of the bugs was that I didn’t include the assets for the 3D objects, so when the players entered the room with columns, the game crashed. There was also some scripting errors driven by not having necessary images wrapped up in the resources archive. Logging definitely helped out there. The last major issue is unsolved, but lies with some code I threw together for the level selection screen. I think some of the click events aren’t going through, or it’s not loading the levels properly. I think this may have something to do with that particular tester running the game through a zip file though. I was shocked to find out that it worked period though. I got some pretty decent feedback from one tester in particular though. He gave not only bug reports, etc, but opinions on controls, aesthetics, and game flow as well. Most of those things were explained away as “placeholder” stuff, but still; it was useful information to know what a tester/player is thinking when they see that stuff. When I show most people my game, I need comments like “looks neat and retro” or “I like the camera spin feature”, but not enough people pay attention to tiny details. Anyway, that’s the update. I haven’t had free time to cut a second build or to work on new levels or anything.